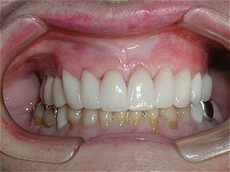 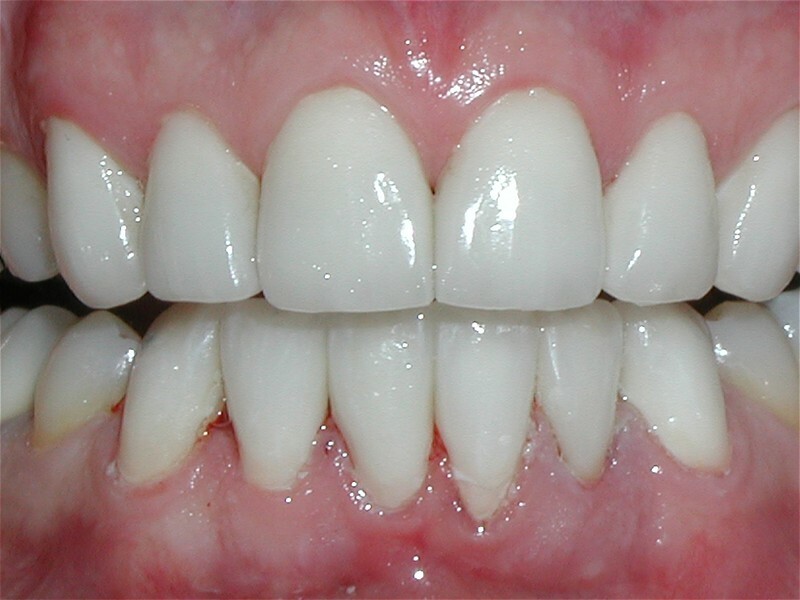 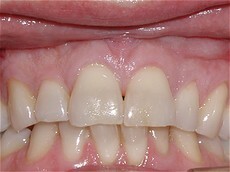 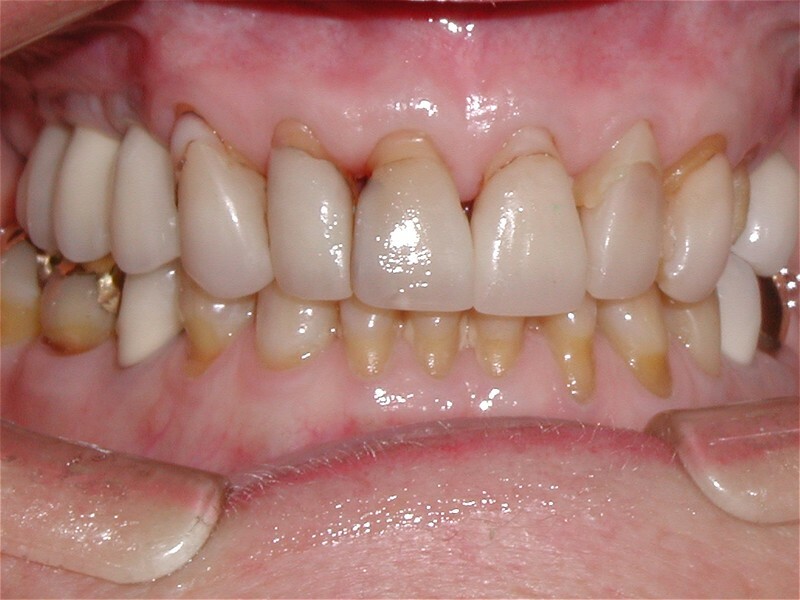 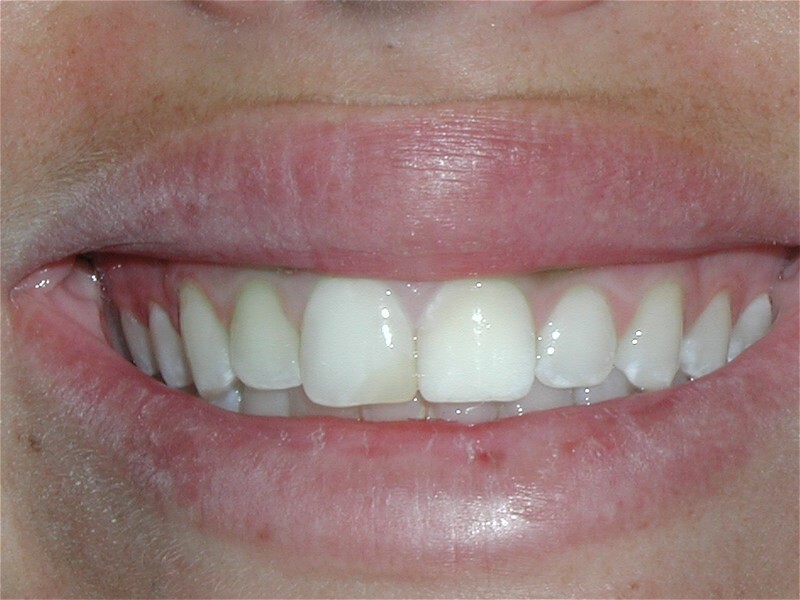 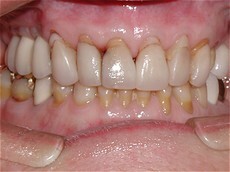 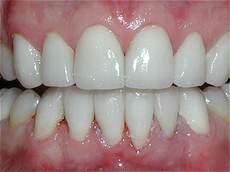 Patient had moderate staining and decay. 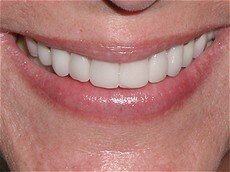 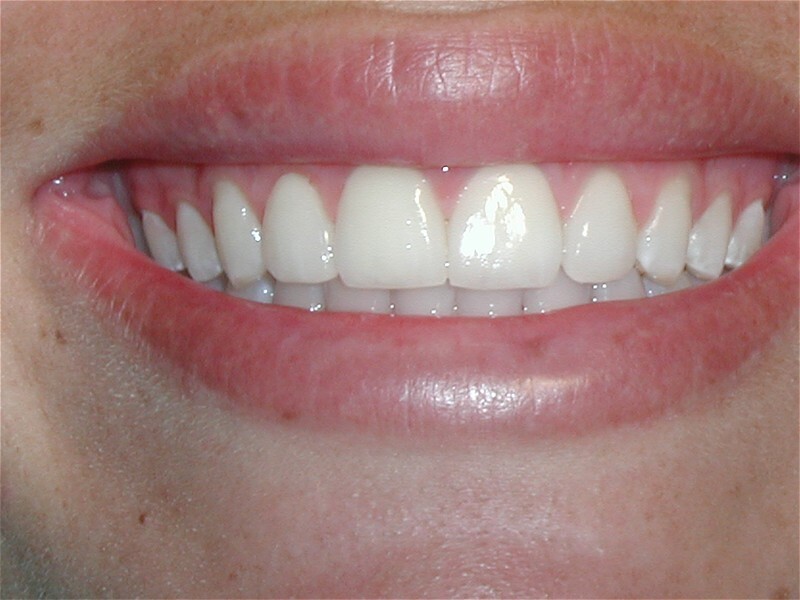 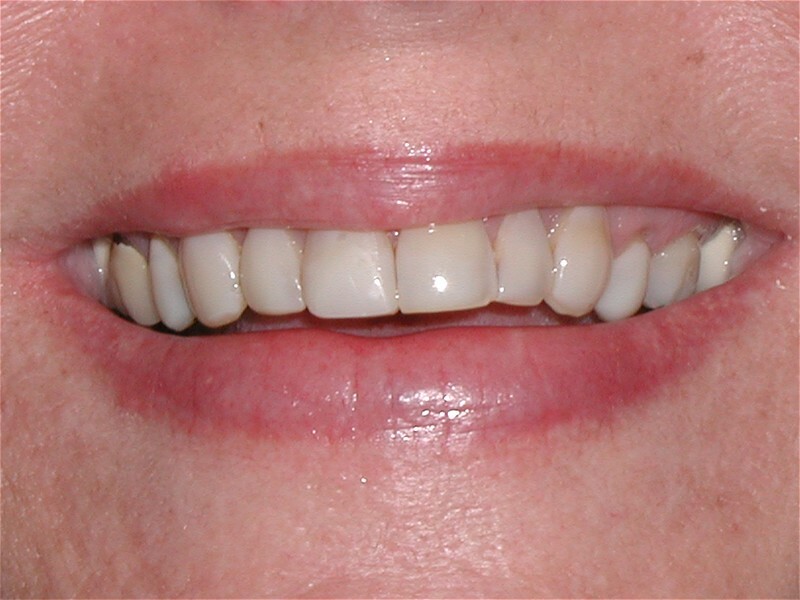 She received six porcelain veneers and four implants to complete this beautiful new smile. She is now ready to complete the lower teeth!